Lighting in the home is really important and can help you see when reading, preparing a meal or dining, however it can also help create a happy and relaxed mood. 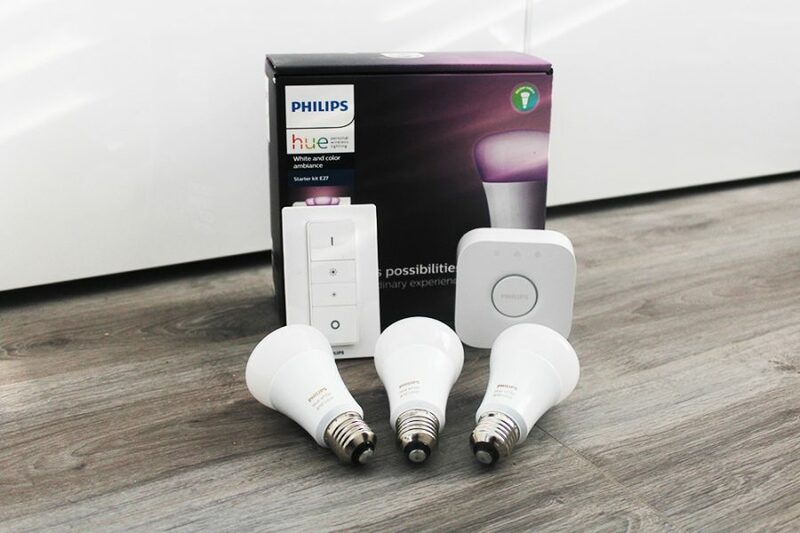 Using Hue bulbs you can change the color of the light or adjust the type of white light, combining these with a stylish light fitting or shade can create a stunning feature in your home when on and off. 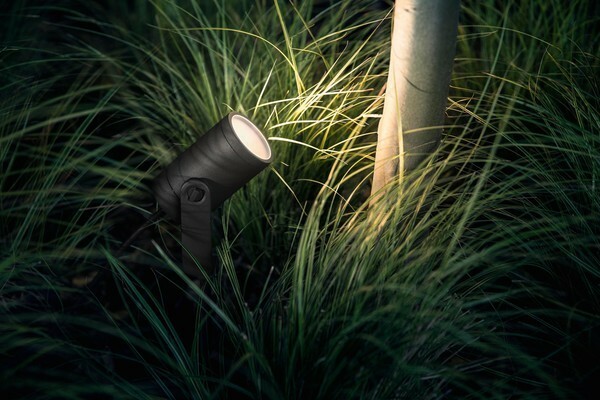 Philips have designed their own range of lights and lamps that have Hue bulbs built-in. 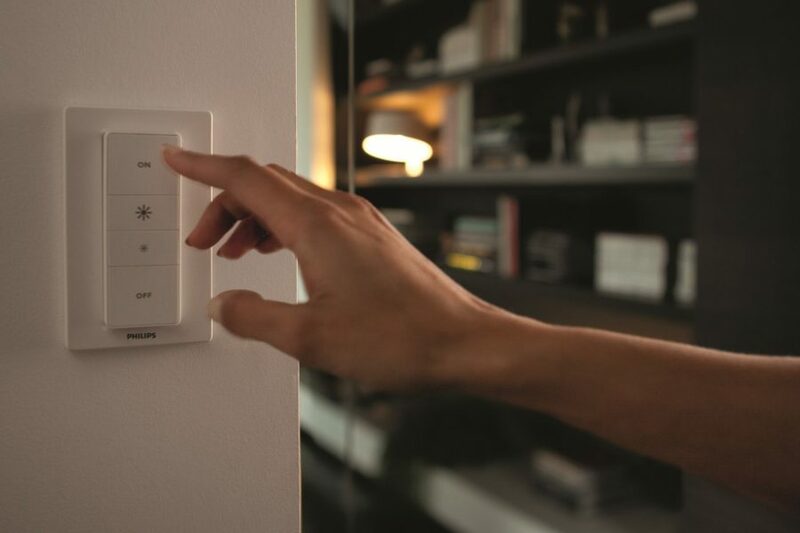 These work just the same as a Hue bulb, added in the same way via the Hue app and controlled just like you would with another Hue bulb. A stylish light pendant fixture that counts as two bulbs as there are two but-in, one in the upper tier and one below, This futuristic light is great in any space above a table or perhaps in a living room. 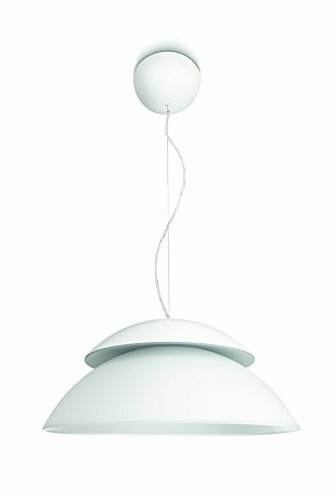 The drop of the pendant is adjustable making it great for taller ceilings. 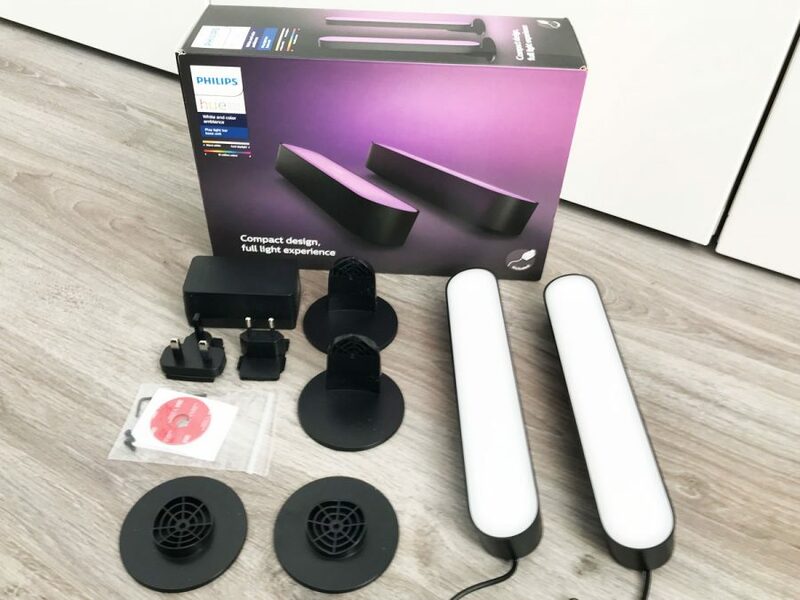 With the two bulbs you can set different colors for each, making it great for color combinations or using other apps to create a disco effect. Another sleek looking ceiling hanging light that is ideal for kitchens and dining rooms, with a white bulb inbuilt this Cher light does not do colors, however can be adjusted through warm to cool whites. 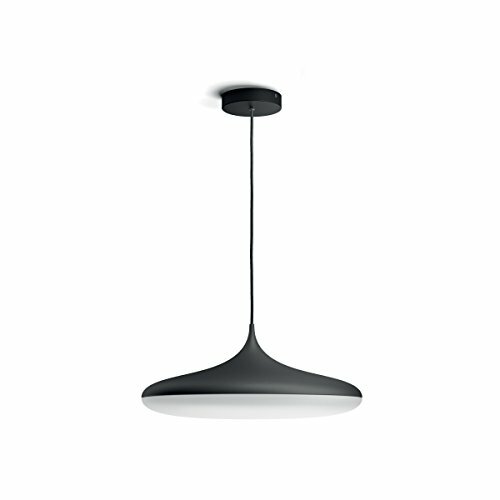 This light can be bought as the suspended version shown, a semi flushmount which isn’t adjustable, or a flush mount that is flush with the ceiling. Above kitchen worktops this light shade is ideal, a simple design that will reflect light down onto your counter top. 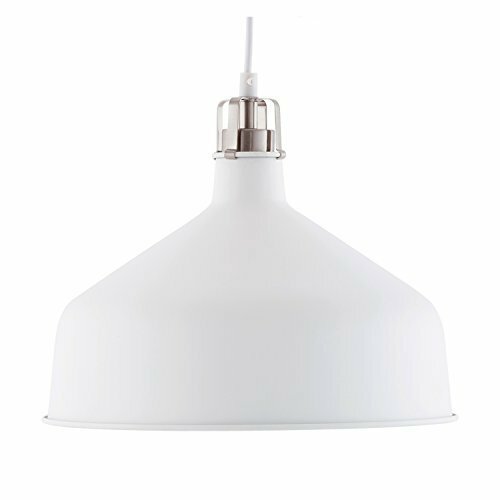 A modern shade that will suit many kitchens and interiors, the height is adjustable and can be used with a Hue white or color bulb. 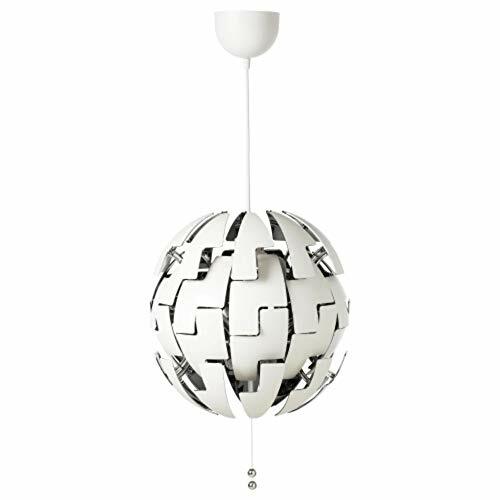 If you want a light that is a bit of a show piece this this pendant lamp from Ikea is a great choice, The light explodes out when you pull the cord making a striking lamp. Combining with a Hue bulb this can be a light that will wow your friends, combine it with a light animation and this will look amazing. 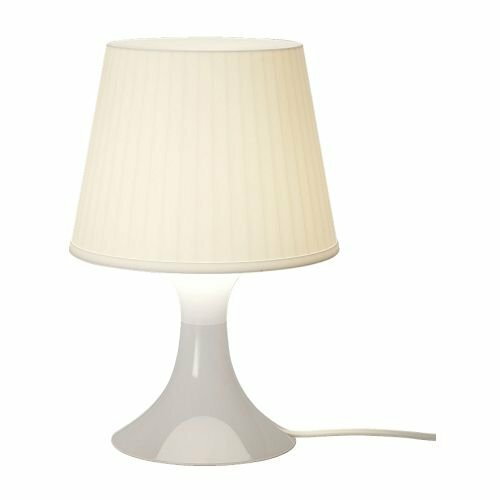 Ikea do a great range of lamps and fixtures that are suitable for Hue bulbs, just make sure you buy the correct bulb fitting for that light. As well as lamps and ceiling pendents there are some great lamp shades you can use too with Hue bulbs. Open shades or metal cages look great however you tend to be able to see the bulb, and Hue bulbs are not that stylish or good looking. A cloud like looking shade this is really relaxing and stylish. Ideal for a calming room be it in the living room or bedroom. This item is just the shade only so you can replace your current shade and add in a Hue bulb with this. This simple elegant design is a great way to change the style and mood of a room. 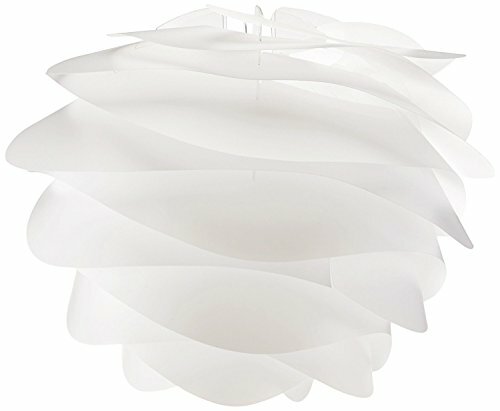 This plastic lamp from Ikea is very simple with a smooth sleek design, the bulb is changeable so adding in a Hue bulb makes this a great lamp to use as the color of the bulb will glow through the white lamp changing its color. 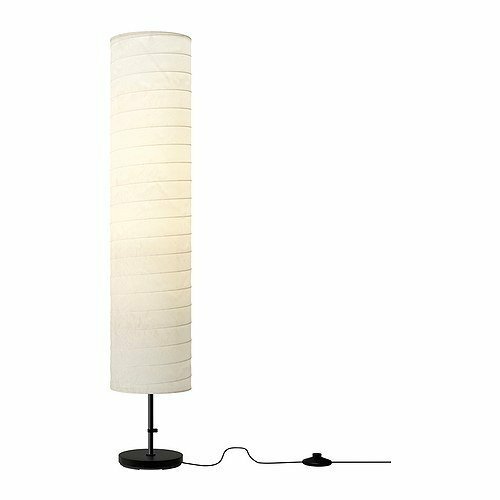 If you are looking for a floor standing light then the Ikea Holmö lamp is ideal for Hue bulbs, with a rice paper shade giving it height combined with a Hue color bulb this will look great when lit. Using a Hue bulb allows you to adjust the brightness and color making it a nice light to create mood within the home, the rice paper also acts as a diffuser making the light give a nice warm glow. Any standard lamp shade will work fine with a Hue bulb, lamp shades with a diffuser built in at the case work really well as you cannot see the bulb but it helps give a really nice glow. If you already have your Hue bulbs then you may need an adaptor depending on the light fitting you buy or already have. Using these will make it easier to use your bulbs depending on the fitting. 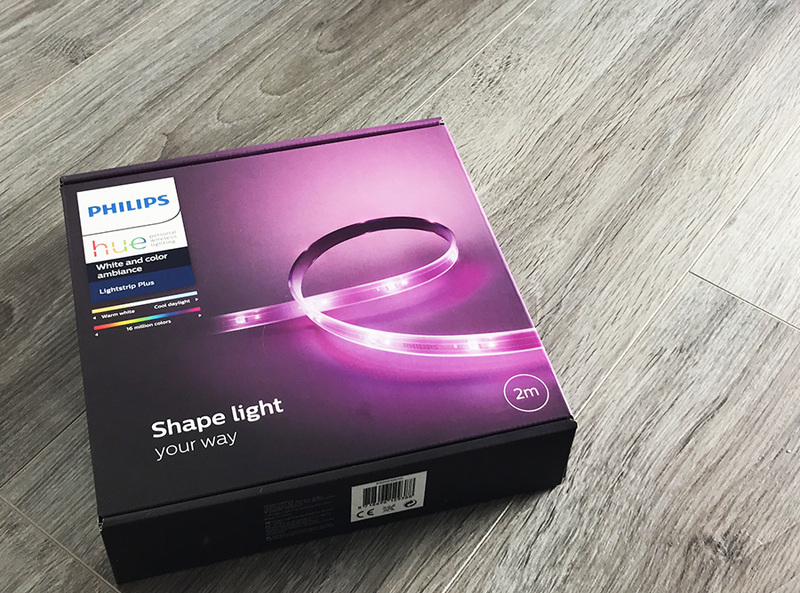 If you are looking at ways to use your light strips then check out our articles on how to install behind a TV, and How To Install Philips Hue Light Strips Under Cabinets.